From storefront theaters in the neighborhoods and Tony-award winning regional companies to major Broadway shows, Chicago is known throughout the world for its extensive selection of critically-acclaimed theater. On any given day, visitors can venture out into Chicago�s diverse communities for a production at one of the city�s many off-Loop theater companies or see a musical in the bustling historic downtown theater district. With more than 250 theater companies, 115 performance venues with 5 million tickets sold annually, and 800 productions a year, Chicago�s reputation for quality, innovation and a broad range of theatrical offerings make it a premier destination for theater lovers of all ages and tastes. In recognition of its prominent position in the theater community, Chicago was selected as the first stop on the national tour of Billy Elliot the Musical, beginning March 18 at the Ford Center/Oriental Theatre. For more information about Chicago theater in neighborhoods throughout the city, visit www.explorechicago.org. -Chicago Shakespeare Theater � The plays of Shakespeare form the core of this company�s productions and are complemented by other dramatic works, from traditional classical theater to new classics. -The Goodman Theatre � Chicago�s oldest and largest not-for-profit theater produces both classic and contemporary works, giving voice to a wide range of artists and visions. -Steppenwolf Theatre Company � Created by a collective of actors including John Malkovich and Gary Sinise, Steppenwolf is committed to the principle of ensemble performance through the collaboration of a company of actors, directors and playwrights. -Victory Gardens Theater �This mid-sized professional theater company, one of the country�s most respected, is dedicated solely to producing new plays. Among numerous other accolades, two Pulitzer Prizes have been awarded to plays generated in Chicago � Tracy Letts� August: Osage County (Steppenwolf Theatre) and Lynne Nottage�s Ruined (The Goodman Theatre). A record number of New York productions have had a strong Chicago influence. Plays that premiered in Chicago by Chicago playwrights and went on to enjoy successful Broadway runs include, among many others, A Steady Rain by Keith Huff and Superior Donuts by Tracy Letts. A thriving resident theater community is at the heart of Chicago theater. Located throughout the city�s many eclectic neighborhoods, some companies have their own venues while others perform in nontraditional spaces. Many are ensemble-based. They offer a wide variety of theatrical experiences from new plays and original musicals to adaptations and revivals. 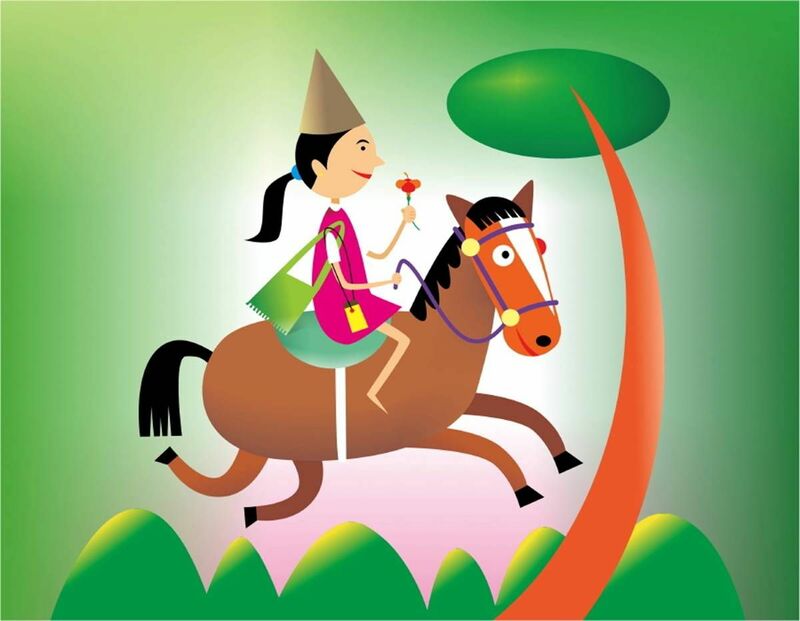 -A Red Orchid Theatre (Old Town) � Presents new plays from all over the world and revives insightful works from the past. -Black Ensemble Theater (Uptown) � Stages original musicals that highlight the history of African Americans while reaching out to a cross-cultural audience. -Court Theatre (Hyde Park) � Professional theater on the campus of the University of Chicago that focuses on classic theatrical works. -Redmoon Theater (West Loop) � Creates theatrical spectacles that transform streets, stages, and architectural landmarks into places of public celebration. -TimeLine Theatre Company (Lakeview) � Dedicated to presenting stories inspired by history that connect with today�s social and political issues. -BackStage Theatre Company � Ensemble of theater artists dedicated to the exploration of family. -Congo Square Theater Company � Multicultural theater spawned from the African Diaspora as well as other world cultures. -Infamous Commonwealth Theatre � Productions illuminate diverse perspectives around one topic each season. -Teatro Vista � Committed to sharing and celebrating the riches of Latino culture by presenting the work of cutting-edge Latino playwrights. -TUTA Theatre Chicago � Ensemble that promotes the work of European playwrights, employing radical stagings of both modern and classical texts. Chicago�s tradition of improv-based sketch comedy is legendary due in large part to The Second City, which celebrated its 50th anniversary last year. A Chicago landmark and a national treasure, it offers the best in Chicago comedy showcasing the city�s brightest talent every night of the week. The Second City has launched the careers of such comic greats as John Belushi, Mike Myers, Bill Murray, Gilda Radner and many others. Other comedy clubs, venues and companies include I.O. (Improv Olympics), Chemically Imbalanced Comedy, Neo-Futurists, Annoyance Theatre, Lakeshore Theater, and ComedySportz. Brightly lit marquees in the Loop along Dearborn and Randolph Streets mark an area spanning four city blocks where magnificently restored theaters comprise the city�s famed downtown Theater District. See the best of Broadway hit productions at a variety of commercial theaters: Ford Center for the Performing Arts/Oriental Theatre, Cadillac Palace Theater, Bank of America Theatre (formerly the Shubert Theatre), Auditorium Theatre of Roosevelt University, and Drury Lane Theatre Water Tower Place. Chicago theater goers frequently have the chance to see pre-Broadway engagements at these venues. Productions that have debuted in Chicago before heading to Broadway include Spamalot, Mamma Mia!, The Producers, and most recently, The Addams Family. Broadway in Chicago offers Historic Theatre Tours that go behind the scenes, providing details about the theaters� restoration and the cutting edge technologies required for complex theatrical productions. Check out www.broadwayinchicago.com to find out about tours and current and upcoming shows. Productions featuring top-caliber talent can also be found at the The Chicago Theatre, the Harris Theater for Music and Dance, Merle Reskin Theatre, and Lookinglass Theatre Company. The Chicago Department of Cultural Affairs theaters - the Storefront Theater and the Studio Theater in the Chicago Cultural Center - offer downtown audiences an off-Loop theater experience with an exciting look at the vibrant emerging theater companies that call Chicago home. An anchor of the downtown theater district, the Storefront Theater presents productions by Chicago theater companies such as Caffeine Theatre, Silent Theatre Company, and The Hypocrites. The Studio Theater Incubator Series supports the creation of new work by emerging Chicago theater companies including Dog and Pony Theatre Company, and LiveWire Chicago Theatre. www.dcatheater.org. Families can enjoy a lively theater scene in Chicago. Check out Adventure Stage Chicago, Chicago Kids Company, Emerald City Theatre, Blair Thomas & Co., and Chicago Children�s Theatre. Start your discovery of Chicago theater with a visit to Hot Tix (Chicago Tourism Center, 72 E. Randolph St. and Chicago Waterworks Visitor Center, 163 E. Pearson, or online at www.hottix.org) for a large selection of half-priced tickets ranging from Broadway shows to productions in neighborhoods throughout the city. In addition, the League of Chicago Theatres provides information about discounted tickets (www.chicagoplays.com). The Chicago Office of Tourism (@explorechicago) provides a seven-day-a-week Twitter Concierge Service offering advice and suggestions about the city. Visitor service representatives answer questions and provide information with a focus on free and discounted events and activities in neighborhoods throughout Chicago. Visitors and Chicagoans planning to entertain out-of-town guests can receive Chicago brochures, reserve hotel accommodations and receive trip-planning assistance by calling toll-free 1.877.CHICAGO (1.877.244.2246), or visiting www.explorechicago.org. Brochures and information on Chicago�s events and activities are also available at the Visitor Information Centers. The centers are located at Chicago Water Works, 163 East Pearson Street at Michigan Avenue and the Chicago Cultural Center, 77 East Randolph Street. The TTY toll-free number for the hearing impaired is 1.866.710.0294.
agency dedicated to promoting Chicago to domestic and international visitors and to providing innovative visitor programs and services. The United Nations Development Programme (UNDP) today announced the appointment of Spanish actor Antonio Banderas as Goodwill Ambassador for the fight against poverty. In his new role as an advocate for the poor, Antonio Banderas will set his sights on the Millennium Development Goals (MDGs), a set of eight globally agreed targets that seek to halve world poverty by 2015 by combating hunger, disease, illiteracy, environment degradation and discrimination against women. �Poverty robs us of our potential as a people, preventing us from being all that we can be,� said Banderas. �This is why it is so important to mobilize all of our efforts to defeat it, especially if today we have the knowledge, the tools and the resources to do it.� Banderas said he will work with UNDP to spur action at all levels of society in pursuit of the MDGs with a particular focus on Africa and Latin America. Banderas will also raise awareness globally of the activities of the MDG Achievement Fund, an international cooperation mechanism whose aim is to accelerate progress on the MDGs. Established in December 2006 with a generous contribution of �528 million Euros ($US710M) from the Spanish Government to the United Nations system, the MDG-F supports national governments, local authorities and citizen organizations in their efforts to tackle poverty and inequality. Banderas, who is a passionate football fan, said he is thrilled to join sports champions and UNDP Goodwill Amabassadors Didier Drogba, Ronaldo and Zin�dine Zidane in their work with the organization. Other UNDP Goodwill Amabassadors include tennis star Maria Sharapova, Japanese actress Misako Kono and Crown Prince Khaakon Magnus of Norway. Banderas was born in M�laga, Spain, and is a much acclaimed actor, writer, singer and producer. His films include Assassins, Evita, Interview with the Vampire, Philadelphia, the Mask of Zorro, and Mariachi. Banderas will soon appear with Josh Brolin, Anthony Hopkins, Naomi Watts and Freida Pinto in in a new Woody Allen film and is concurrently writing, directing and producing a film about Boabdil (Abu Abdullah Muhammad XII), the last Muslim ruler of Granada, Spain. 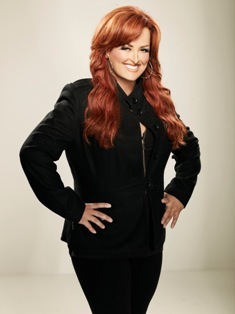 LEXINGTON, KY � Wynonna Judd will welcome the world to Kentucky with a special performance at the Opening Ceremony of the 2010 Alltech FEI World Equestrian Games. The 2010 Games will feature world championship competitions in eight equestrian sports at the Kentucky Horse Park from September 25 through October 10. The Games will be the largest sporting event in America this year and are renowned to be the world�s most prestigious equestrian competition. On the evening of September 25, Wynonna will perform �My Old Kentucky Home� in a pinnacle moment of the Opening Ceremonies. �I could not be more thrilled to have the opportunity to return home to my roots. Kentucky holds such a sacred place in my heart and to have this honor to share the home I so dearly love with my friends and family brings me great joy,� Judd remarked. Wynonna will be a major highlight in an Opening Ceremonies program featuring more than 200 horses, a symphony orchestra and chorale, all of whom will showcase Kentucky�s, and America�s, equestrian and musical heritage to the world. Visit www.wynonna.com <http://www.wynonna.com> to learn more!